Carpets are our favorite décor element, found in nearly every household and office. Not only do they make your space look stylish but also improve the quality of the air. 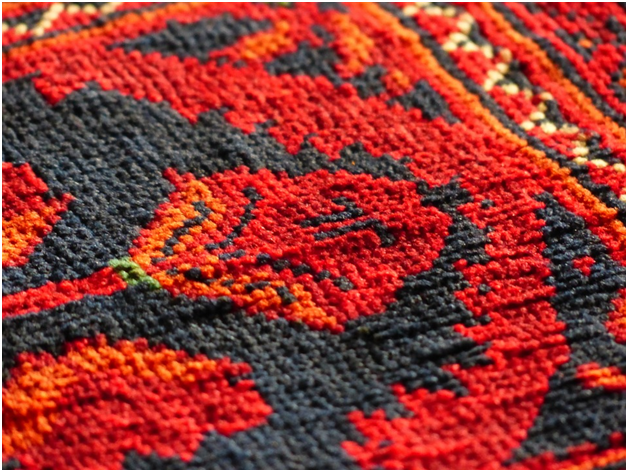 People usually find carpets with patterns and designs very appealing. They also prefer these carpets since the patterns hide stains, which eliminates the need to get carpets cleaned regularly. Another reason why they are reluctant to get these carpets clean is that they feel that cleaning the carpet will result in the patterns fading. Mold can also damage the structure of your space. It is also quite costly to deal with a mold infestation; prevention is the name of the game and that is in the form of regular carpet cleaning. This may sound surprising however, homeowners should know that the air inside their homes is more polluted than the air outside. A major reason for this is dust mites. Dust mites are so small that homeowners cannot identify its existence. However, make no mistake, they can cause a great deal of problems for homeowners. A teaspoon of dust consists about 20,000 dust mites. They can increase the pollution inside your home and lead to allergies. Usually carpets with patterns are thicker because of which they are able to retain greater amounts of dust when compared to plain carpets. Some homeowners prefer keeping their shoes on even when they are indoors. This can bring in soil and dirt in your home, which finds its way to your carpet. Over time, dirt can accumulate and produce bad odor. This odor can make it very hard for homeowners to live in the house. It can also create a negative impression in the eyes of the visitors. Dust and dirt are not the only elements that can cause problems for homeowners. There are other toxins and allergens that are trapped by your carpet. These can also be the cause for bad odor. Some of the stains on the carpet are actually quite tough to remove. In addition to that, the dirt and soil that accumulates in the carpet can result in the designs fading away.It can ruin the look of the carpet. In such cases, DIY techniques for carpet cleaning are ineffective. Instead, you should opt for services of professional carpet cleaners who can deep clean the carpet. Steam cleaning the carpet can ensure that it looks as good as new, prolong its life and smells pleasant. Get in touch with us. We have a team of expert carpet cleaners who operate in Bakersfield, CA. We also offer carpet-stretching services. Contact us at (661) 833-0934.